Most hunters grab their bows and guns only when the weather is conducive for human movement, that is, in warm weather. Like other human beings, hunters also like comfort. They want to feel warm in the winter, cool in the summer and dry when the rain takes over the show. Since we tend to avoid being out in the woods in bad weather, we are also of the idea that deer also have the same feeling. We convince ourselves that they are very inactive around this time and probably in their bedding. While this is true to some extent, deer are accustomed to living outdoors throughout their lives. They are adapted to withstand freezing temperatures and heavy downpours that would render, we, the hunters immobile. These animals have thick fur coats coupled with topnotch metabolisms that give them a more daring nature even in the worst outdoor conditions. Their need to feed daily also means that they have pretty less aversion to moving around in the light and heavy downpours than humans. However, while most hunters would rather seek shelter by the fire in the inclement of weather, experienced hunters view this as the best time to make a catch. Over time, most of them have learned to use these seemingly unfavorable conditions to their advantage. In fact, most of them have resulted to following their local weather reports to determine the best time to hunt deer. In most instances, most of them dash out immediately the rains start. Well, some would probably repulse this as unnecessary and pretty dangerous considering how fatal the wilderness can be in bad weather. So, let’s clear the air by understanding the pros and cons associated with hunting in cold rainy weather and warm rainy weather. 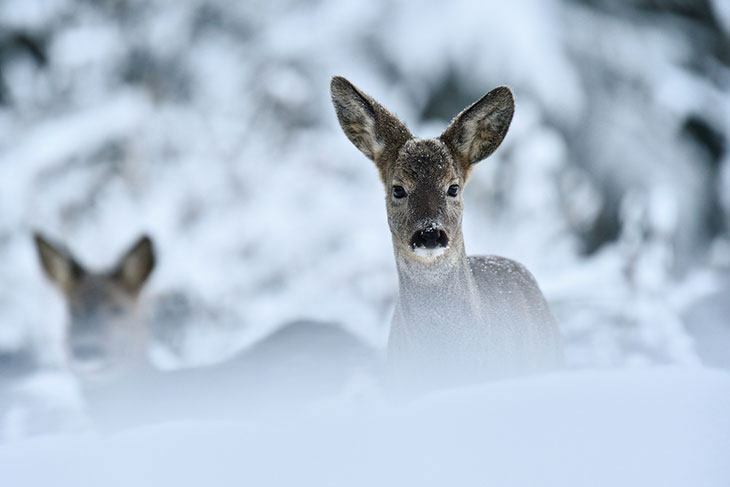 Deer are known to have a sixth sense that helps them sense approach an approaching storm. They probably do this by noting the change in the smell of the air and differences in barometric pressure. Thus, they can detect adverse changes in weather beforehand. Well, light winds and showers do not interfere so much with their feeding or moving habits. However, they tend to lie low in torrents and heavy winds. That being said, deer have a habit of feeding heavily when they detect an approaching storm that might force them to bed down for an extended period. That being said, arming yourself with a reliable altimeter watch will help you to catch them in action. Hunters who go out to play in the rain will, in most instances, tell you that light showers always bring easy opportunities. Usually, light rains typically make it slightly challenging to detect a creeping enemy waiting in ambush through their sense of smell. This, therefore, creates a good opportunity for upcoming hunters who need to be just a few yards to make a deadly shot without being sniffed out. Worth pointing out is that deer understand that heavy downpours create a favorable environment for their predators. They know that heavy rains and strong winds shrink the enemies’ smell thereby making it hard for them to detect any approaching danger. But light rains are not a deterrent to their movement and feeding habits. These light showers tend to confuse them to your advantage. At this time, they tend to be almost docile in comparison to how they behave in clear days. They also give the field a blind cursory look (exactly what hunters look out for) and walk freely without much care in the world. 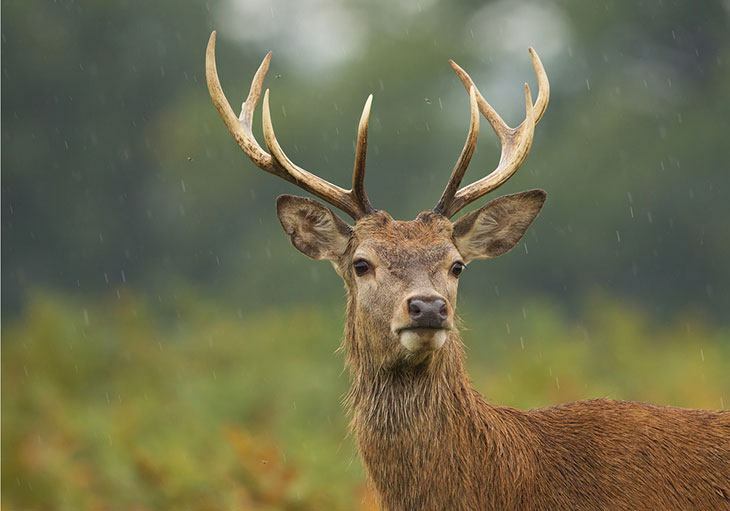 Deer remain active throughout a steady rainfall. Light rainfalls that go on for a few days tend to hold most hunters safe and warm in the camps. That being said, rainy days translate to excellent hunting times since there are far fewer hunters and also reduced human activity that precludes serious hunting in balmier weather. For instance, there tend to be fewer cars parked along the woods roads than in clear weathers. This offers you plenty of hotspot options since everyone else is at the camp. Other favorable areas to set up include near a stream and river crossings, ridge spines, and near mast-producing trees such as orchards and oak stands. While cold, wet weather allows you to stalk and approach your prey without much noise, it also has its bag of disadvantages. Whether you fancy bow or gun hunting, tracking is the major downside that comes with hunting in the rain. A decent downpour can wash away a blood trail in a flash. This makes it pretty hard to follow or approach your wounded prey after the mandatory half-hour waiting period. There are two ways out here. First, it pays to take a really good shot. A bad or iffy shot will allow the bulls to trot around for long. Couple this with the rains that quickly wash away any signs of a hit and your chances of tracking down the animal are slim at best. For this reason, take a good shot in the middle just behind the shoulder. An excellent shot here results to a dead deer almost instantly. Another solution is to arm yourself with a hunting product called blood glow. It involves mixing 2 pills in water and spraying the solution where the track was before being washed away. Usually, this solution reacts with traces of hemoglobin in the blood and turns blue in the dark. This makes it pretty easier to follow your kill even at a hundred yards. However, do note that anything that tends to give you hunting or tracking edge is mostly likely to be illegal in most states. So check out with your local hunting laws before using it. Steady rains can also cause a lot of rain when falling on leaves and shrubs. This makes it somewhat hard to differentiate between a deer and other sounds. Unless you are attentive, you could miss a really good shot easily! Another disadvantage of hunting in the rain is that you suffer from reduced visibility. It gets worse. Usually, a soaked deer usually looks like the wet leaves thereby making it hard to take a good shot. A good solution might be to use waterproof hunting binoculars. The downside is that these gadgets are so expensive and delicate for slippery and low-lit woods. Lastly, deer tend to take shelter in heavy downpours. That being said, you’ll have a pretty hard time trying to dig in deep thickets to catch them off-guard or to flush them out. As you may have found out, hunting in both light and heavy downpours has its upsides and pitfalls. The major snags are losing your prey after a shot and minimal visibility. Losing your way in new hunting grounds also makes this course pretty daunting. So, let’s check out the ups and downs that come with hunting in warm rainy weather. One of the most obvious advantages of hunting in warm weather is that it does not necessitate a complex set of binoculars to help you get a good aim. Well, you may still rely on one if you are playing in thick grounds. However, let’s just agree that having one less device to deal with boosts your chance of taking deer home. Sure! One reason why hunting in warm weather is that the risk of losing both the arrow/bullet and the meat is much lower. A shot bull is known to trot up to 100 yards before they can succumb to the injuries. This makes it somewhat hard to track them down in cold rainy weather. However, when the rain has subsided, following the blood to the dying animal becomes easy, hassle-free, and a bit more reassuring. Of course, no one will fancy trying out strange hunting grounds in dark, cold, rainy weather. While this environment seems pretty promising, you really want to be sure that you’ll not be falling in pits or down cliffs as you follow your prey. 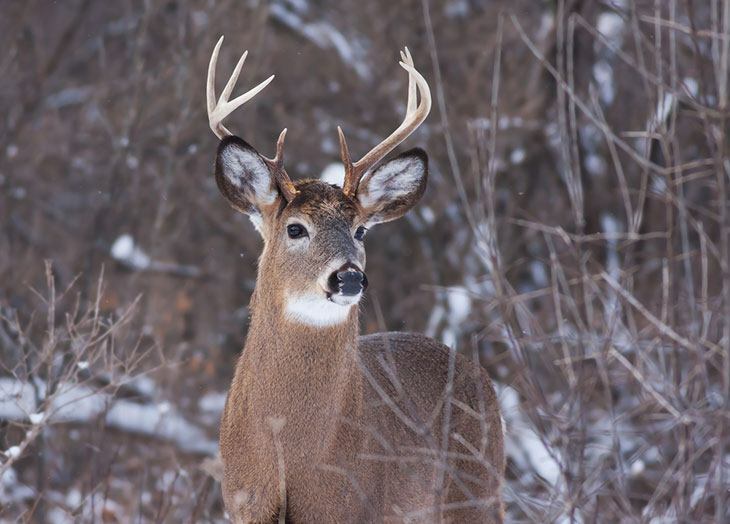 It’s arguably clear that temperature has a significance influence on deer movement. Just like humans, deer respond to changes in temperatures in different manners, and this affects the probability of crossing paths with them. 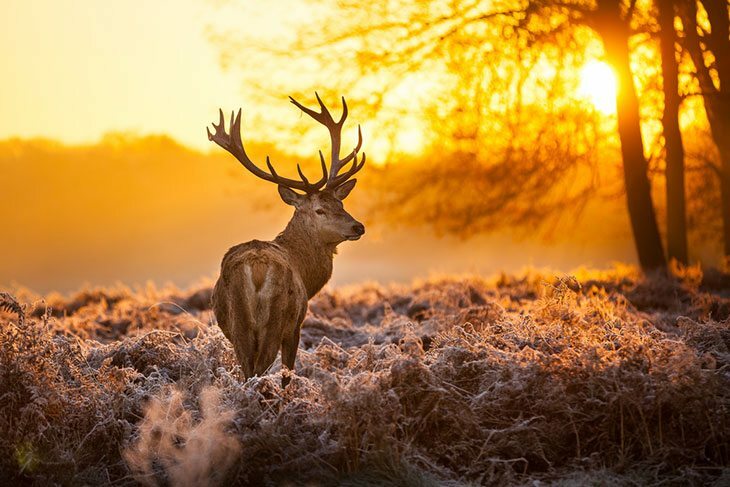 Usually, deer burn more calories during the bad weather. Resultantly, they have to get up and look for food. That’s why there’s notably higher deer activity in cold rainy weather than in warm weather. In warm rainy weathers, deer are known emerge from their beddings mostly in the AM hours. If you cannot be in the hunting grounds for the morning hunts, things become pretty hard for you. 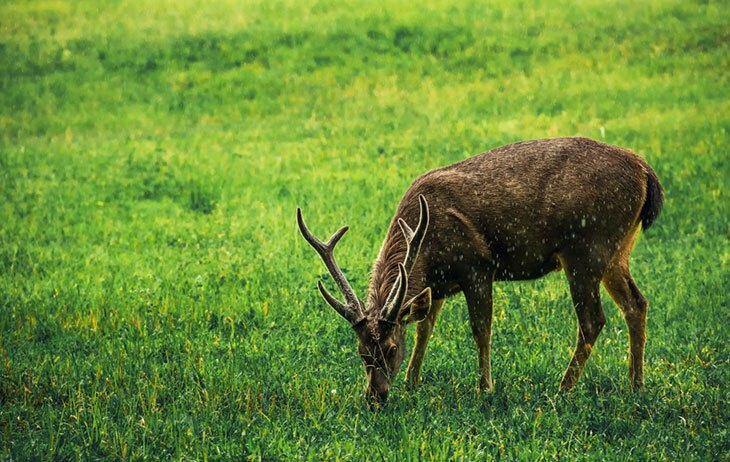 If you are of the school of thought that deer hunting is best during the warm weather, then you are likely to face lots of competition from other hunters too. How does this affect your fate? First, this means less hunting hotspots. Not unless you are in the woods early enough, your favorite stand may be occupied by early risers forcing you to look out for other favorable locations elsewhere. Secondly, more hunters in private hunting lands, for instance, also means that you need to seek permission early enough. 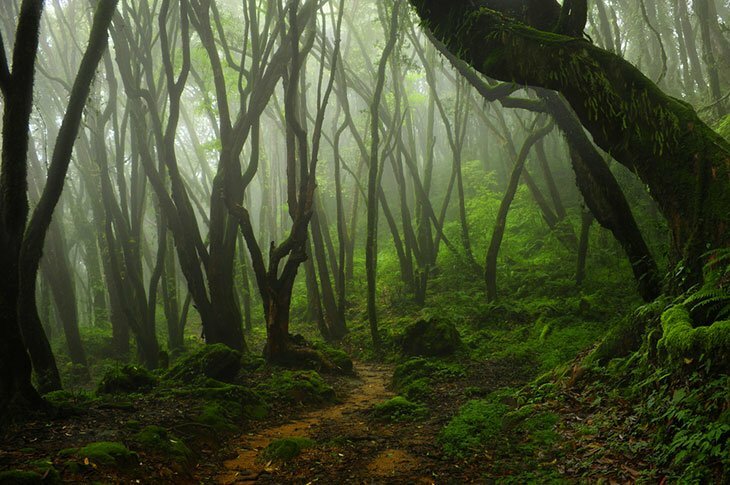 Without a doubt, the worst mistake that you could do is to fill the woods with your scent. Now, this is exactly what you might be doing in warm weathers, especially when there is light wind. Deer are super sensitive to scents from their potential predators. Your scent not only makes it easy for that big buck to pattern you, but you also make it even more skittish and more alert for the rest of the hunting season. Inclement weather tends to win out regarding the best time for hunting deer. If you are among those who want to gather some warmth in their sleeping bag back in the camp during this time, do know that you are missing out real big. However, for those who are afraid of catching a cold, you might as well wait when the weather is more favorable. There is incredible visibility in warm rainy weather and tracking the deer is much easier. However, do know that more hunters tend to head down to the woods at this time and there’s also little deer activity for a better time of the day.